The MTSC will position the UK as a leader in MedTech development while creating a new standard for the acceleration of medical technologies to market. 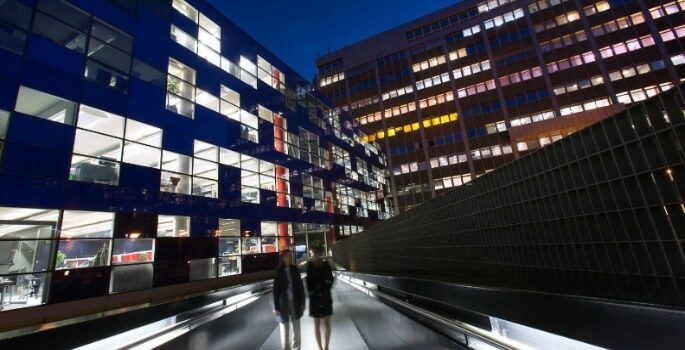 Physically located across three wet-lab incubators in central London, including the Imperial Incubator at White City, the MTSC will build upon the College’s commercialisation expertise as well as those of seven partner institutions: Queen Mary University of London, Bucks New University, The Francis Crick Institute, Royal College of Art, Royal College of Music, Institute of Cancer Research and Royal Veterinary College. The MTSC will provide its participants with the funding, training, mentorship and access to the industry partners and patients required to fast track the translation of their pioneering research discoveries into new medical technologies – generating startup companies in the process. MTSC participants will receive business coaching and advice from a pool of experts that together make up the Medtech Venture Mentoring Programme (MVMP). The MVMP, modelled on Imperial’s existing Venture Mentoring Service, is comprised of industry professionals, including corporate partners, startups, the NHS and other healthcare providers. During its first three years, the MTSC will deploy different acceleration approaches to determine a best-practice model for the MedTech sector. Professor Nick Jennings, Vice-Provost (Research and Enterprise) said: “Imperial has a proud history of taking research out of the lab and into the world. We are constantly thinking about where the next innovation like penicillin, IVF or the i-Knife might come from. The MedTech SuperConnerctor will create a critical mass of brilliants minds, working across institutions to develop new technologies, tools and digital solutions to healthcare challenges. The Connecting Capability Fund supports universities in working together, and with businesses and other partners, to commercialise research and share good practice and capacity. The Fund is highlighted in the Government’s Industrial Strategy and will help achieve its aims of enhancing UK industrial competitiveness and productivity. It builds on established processes and success of Research England’s HEIF programme. The Imperial grant forms part of a £67million investment in 14 collaborative projects between universities and with other partners to drive forward world-class university commercialisation across the country.